Router can't handle high throughput? It worked in the past, but now the router can’t get more then ~150 Mbit trough. 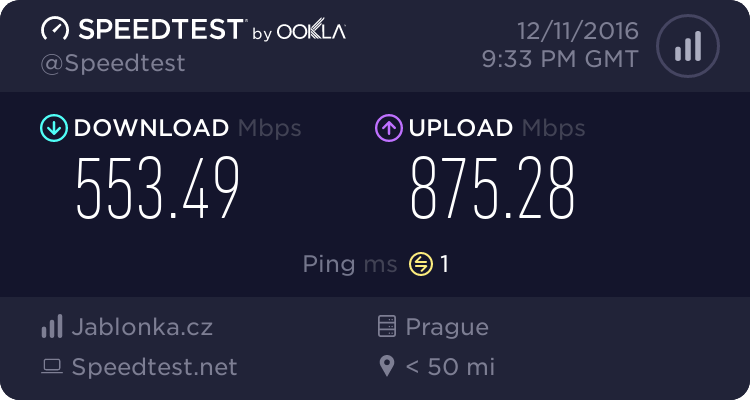 If I connect my PC directly to the Modem I get my 400 Mbit (last and first Screenshot). Also the Router sometimes just restart, since they logs are purged I don’t see why. Can someone help with this two problems? Your problem is probably more complicated. No problem for me. Should not be a problem of Turris itself. I can get much better rates. Also the Router sometimes just restart, since they logs are purged I don’t see why. Try to set the value of “Write system log to file” in Luci -> System -> System -> Logging to a non-volatile file system, like a usb key or similar. you have installed Device detection Software for detecting new devices on local network (EXPERIMENTAL) in turris? if yes this is the problem. I tested turris with gigabit WAN and works well wint qos enabled. Only i have issues when i installed that module. you have installed Device detection Software for detecting new devices on local network (EXPERIMENTAL) in turris? if yes this is the problem. There are two packages: pakond and pakon-dev-detect. I was solving SMB slow transfers and by htop identified that pakond is consuming 100pct of cpu. So I just disabled pakond leaving dev-detect enabled and I went back with SMB to 950-970 Mbps. Also pakond was totally messing syslog by messages. Most probably dev-detect needs pakond enabled to properly run but I can not check as I don’t have any new device to connect in LAN. So you can try enable dev-detect in foris but disable pakond only and check if it will work for you. X-dark & tristone, mind if I ask what you pay in Paris and Prague for your speeds? I pay US$65 a month for 200Mbps downstream / 35Mbps upstream in northern New Jersey USA. I’m guessing that, in general, broadband in costlier in the US than in Europe. Thanks. In CZ the speed you get very much depends on your location. You may e.g. be very “lucky” and get optics 100/100 Mbps for 10 Eur/month , and you may only be able to get a fraction of the speed for double price. The price to build and maintain the infrastructure just varies very much, naturally. I pay 35€/month for 800Mbps/60Mbps with TV and landline phone included. It is FTTB or FTTLA (not sure) with a coaxial ending. It is in France.